The ECJ ruling in Tele2 Polska is a joke (actually a bad one). I’ve already blogged on the nefarious effects of this ruling. Today, I’d like to make a few more points. Remember: the judgment states that National Competition Authorities (“NCAs”) cannot, under Regulation 1/2003, adopt declaratory decisions stating that there has been no breach of Article 101 and/or 102 TFEU (on the merits). This judgment is likely to have far reaching consequences. As written in a paper below, and confirmed by a number of colleagues at the GCLC lunch talk yesterday, it means that NCAs cannot adopt individual exemption decisions under Article 101(3) TFEU. Since the inception of Regulation 1/2003, however, many – including me – have repeatedly stated that decentralisation was all about empowering NCAs to take Article 101(3) TFEU decisions. More importantly, several NCAs have taken exemption decisions over the past 7 years. Is this decisional practice now unlawful? The Commission’s response to this is that the ruling does not change much. Rather than taking a negative decision under 101(3) TFEU, the NCAs can still adopt decisions that “there are no grounds for action on their part” pursuant to Article 5 of Regulation 1/2003. Now, is this really true? As noted by F. Zivy yesterday, could a NCA conceivably write in a decision: « The impugned practice infringes Article 101(1) TFEU. There is strong evidence that it is nonetheless justified under Article 101(3). But we are sorry, the only thing we can do is to say there are no grounds of action against this infringement”? Or to be even more extreme: “The impugned practice constitutes an infringement of Article 101(1) TFEU. Hence, there are no grounds of action on our part“? 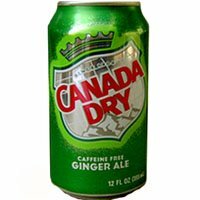 Come on..
To me, decisions that there are no grounds of action are like Canada Dry to “negative decisions”: they look like negative decisions, they taste like them, but they are not like them. In practice, rather than making such paradoxical statements, NCAs willing to exonerate anticompetitive agreements are likely to reason within Article 101(1) TFEU, under a “rule of reason“-like approach (which BTW has been consistently held alien to EU law by the ECJ). A last remark: the judgment is primarily based on a litteral reading of Article 5 of Regulation 1/2003 which sets the powers of NCAs, and is supposed to be exhaustive. Article 5 says nothing of inapplicability decisions. hence, NCAs cannot take them. Now, has the ECJ really read Article 5 of Regulation 1/2003? I mean had it done so, it would have realised that this provision is all about the decisions taken for the application of Article 101 and 102 TFEU (“The competition authorities of the Member States shall have the power to apply Articles 81 and 82 of the Treaty in individual cases“). Hence, it is somewhat unavoidable that this provision is silent on negative decisions, that DO NOT apply Articles 101 and 102 TFEU. Hereafter a paper that I have written with my assistant (in French) + the slides presented at the GCLC lunch talk yesterday. Postscript zu “Tele2 Polska” | Kartellblog. A very interesting point you make here. Couldn’t you also look at Tele2 Polska from the perspective of Deutsche Telekom with the CJEU trying to ascertain that there is always a possibility for interested parties to get a ‘second opinion’ on the national application of competition law (in a wide sense, including liberalisation measures) in order to overcome possible regulatory capture (which appears to have happened in Deutsche Telekom)? moreover, Tele2 Polska and your observations on exceptions based on Article 101(1) TFEU is also interesting if you read it in the light of the judgment in Pierre Fabre (C-439/09), where the Court appears to be accepting something that looks, smells and barks like a rule of reason and also indicates that the 101(3) exception derives directly from the Treaty (para. 49). That does appear to decentralise enforcement quite a lot, whilst also putting the Court in a central position courtesey of the preliminary reference procedure.